Nepenthes viellardii is a lowlander I know very little about, even the spelling. I've seen it spelled N. vieillardii. I don't know which is the correct spelling. I grow this guy outdoors as a highlander and it has been a slow grower. This species is really a lowlander that I accidentally put outside because I had very little information about it. 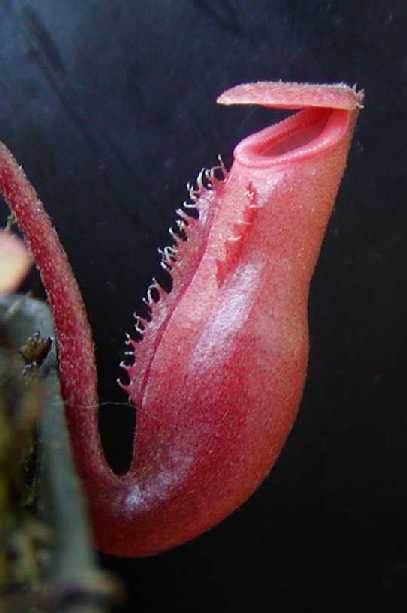 I've seen photos of larger plants and the pitchers appear almost solid red in coloration and have a typical Nepenthes pitcher form. 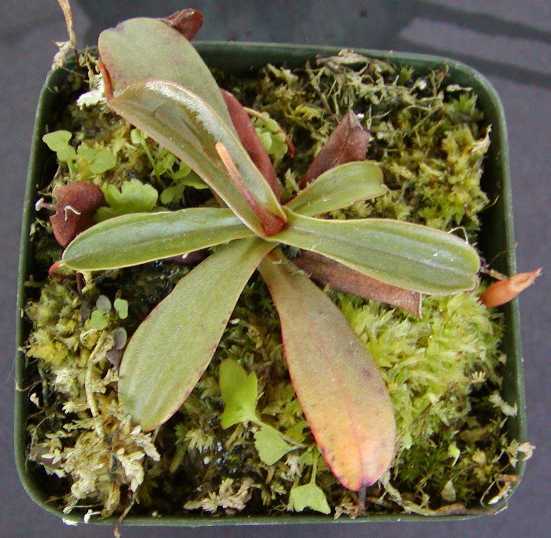 This species would probably grow better as a windowsill plant or as a typical lowlander in a terrarium or greenhouse. However, my plant has had no problems outdoors other than just being a slow grower so it appears pretty hardy. I read somewhere that N. lamii and N. veillardii were at one time considered the same species. But now they are considered two different species. N. lamii is an ultra-highlander and grows real slow.